Trust Done Right Cabinet Refacing to Reface or Install your cabinets. With over 30 years experience, why go anywhere else! 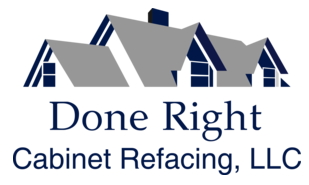 Thank you for visiting Done Right Cabinet Refacing, LLC where our moto is; Because it's "Done Right" the first time! We provide our customers with unparalleled craftsmanship in every kitchen and bathroom we service in Minoa, Syracuse, Fairmount, Utica & Manlius, NY and the surrounding areas of Central New York. Contact us today for your kitchen refacing or installation project either by phone or filling out the form below. We look forward to making YOU a member or OUR family! Copyright © 2019 Done Right Cabinet Refacing, LLC, all rights reserved.